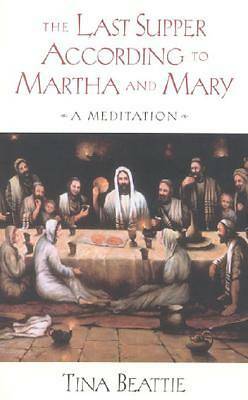 An acclaimed spirituality writer from England has written a moving meditation book, which presents Martha and Mary and reflects on their relationship with Jesus through the experience of The Last Supper, his passion, and death. The book challenges our normal understanding of Jesus and The Last Supper and explores the person and event from the perceptions of these two contrasting personalities: Mary, the contemplative who, in the Gospel according to Luke, sits at Jesus' feet, and her sister, Martha, who waits on the master and his disciples. In The Last Supper According to Martha and Mary, Tina Beattie imagines what it would have been like if these two had been with Jesus during his final hours.